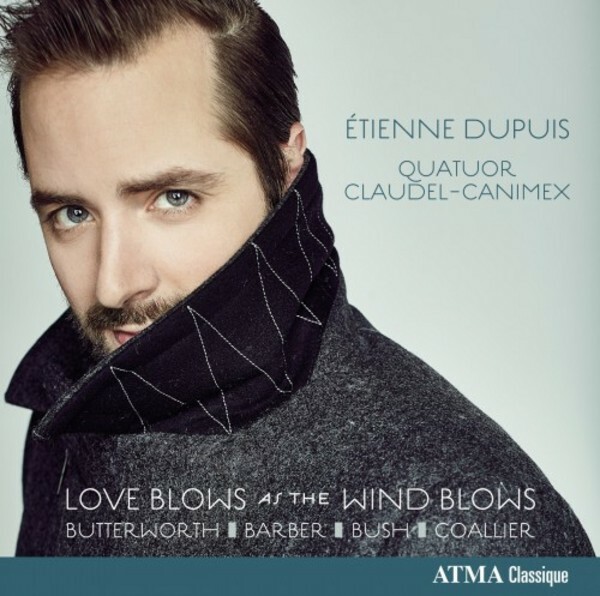 ATMA Classique is pleased to present 'Love Blows as the Wind Blows', the solo debut album by Canadian baritone Étienne Dupuis. George Butterworth’s moving song cycle lends its title to album, which includes music by British composers Geoffrey Bush and Samuel Barber. Dupuis also sings four French songs by Canadian composer Réjean Coallier based on poems by Sylvain Garneau, and the iconic Irish folk song Danny Boy, arranged for voice and string quartet. Dupuis is accompanied by the musicians of the Quatuor Claudel-Canimex, who play Barber’s famous Adagio in its original version for string quartet.